HMH Books for Young Readers, 9780547855400, 320pp. 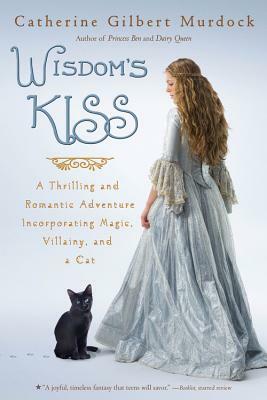 Magic, cunning, and one very special cat join forces in this hilarious, extraordinary tale by the author of the Dairy Queen trilogy and Princess Ben. kingdom of Montagne. Tips, a soldier, longs to keep his true identity a secret. Fortitude, an orphaned maid, longs only for Tips. These three souls might possibly attain their dreams while preserving their empire from ruin — if only they can bear one another’s company long enough to come up with a plan. Catherine Murdock grew up on a small farm in Connecticut and now lives in suburban Philadelphia with her husband, two brilliant unicycling children, several cats, and a one-acre yard that she is slowly transforming into a wee, but flourishing ecosystem. She is the author of several books, including the popular Dairy Queen series starring lovable heroine D. J. Schwenk, Princess Ben, and Wisdom's Kiss.